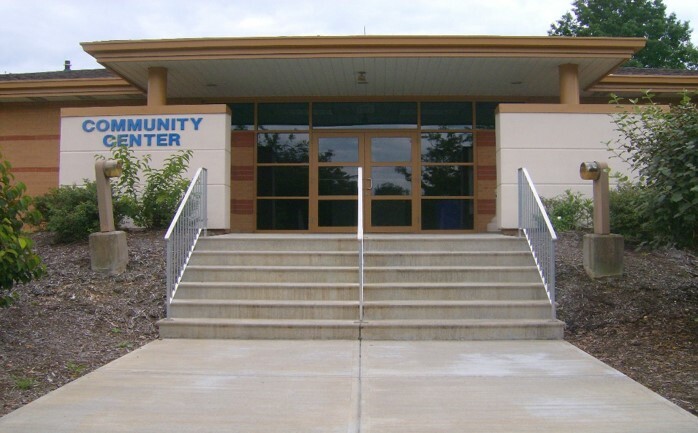 Join us for fun and fitness at the South Park Community Center. These classes are for men and women of any age. Classes are an hour or more long of heart pumping fun! 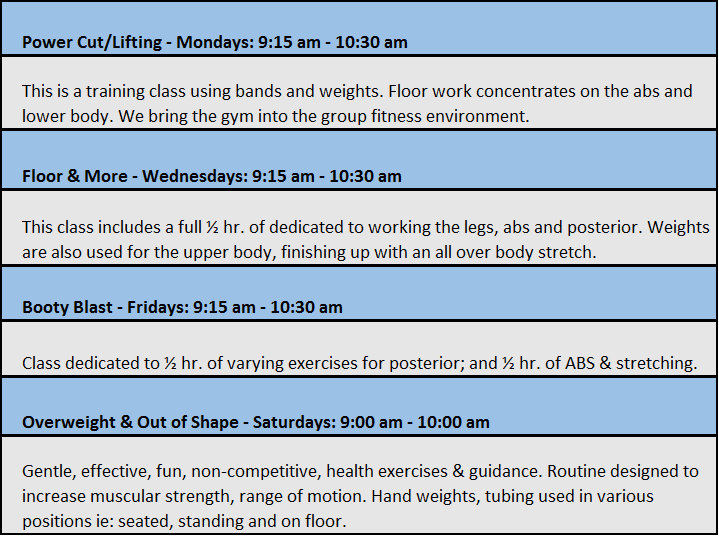 For questions on any of these classes, call Fran Campus, Instructor/Fitness Liaison between the Friends & the Township at (412) 835-1151! Purchase a 9 class pass from Fran for $40 or $7 per class for walk-in at any class, any day. Please make checks payable to: Friends of South Park Library and mark "Fitness Class" on the check. ** Please wear comfortable clothing, shoes and bring a towel, mat, weights, bands etc with you. The room is carpeted and air-conditioned.